Our lemongrass and rosemary candles are made with soy wax and scented with pure aromatherapy essential oils. No parafin wax or synthetic fragrances ensure that our candles burn beautifully with no wasted wax left on the glass and fill your room with a stimulating and uplifting aroma. Purchased a gift box; candle, body scrub and hand cream at the Country Living fair London. Fantastic value for money, beautiful scents and expensive looking packaging! Bought 2 more mix & match gift boxes for friends on-line and now they're hooked!! Finally found a company offering amazing products, affordable prices and fast delivery. Can't ask for anything else! Lucky enough to purchase this candle and room stay at the Modern Home show in Glasgow, love candles but had never heard of the Vaentte brand, loved the smell and the ethos behind the brand. I couldn't resist and I'm so glad I bought the candle and room spray, it is amazing both in quality and fragrance it's like stepping into a 5 star spa, I love the even burn of the candle , I know I will return to the web site for further purchase , and have recommended the brand to my friends . Thank you to Valentte for the excellent service and quality products. This candle smells divine and really fills the whole room with a refreshing scent even when not lit. I love it. Beautiful candle. It’s my 4th time buying this scent. I love it! Candles are superb and the Customer service and experience is too. Thank you. A therapeutic blend of six pure essential oils which deliver a powerful boost to your concentration and focus. With it’s strong, sweet, lemony scent, Lemongrass is purifying and stimulates awareness. It refreshes the mind and is helpful for mental fatigue and loss of concentration. With a warm and refreshing aroma Rosemary clears the mind of confusion and doubt and promotes mental clarity. Stimulates your sensitivity and increases your creativity by lifting exhaustion and awakening your heart. Our best selling scent Lemongrass & Rosemary is specifically blended to improve your concentration and focus. I’ve used a LOT of candles before! However, this is probably the best candle I’ve ever had for filling a room with scent even when its not burning!!! I’ve had my candle for a few months now and its still smelling like a really good room freshener while unlit! So impressed! Fabulous candle, such a natural smell,fills the house of a fresh smell. Fabulous lovely strong smell which lingers. Great value for money and good even burning by the wick. Have bought more already! I love lighting this one – its scent is fresh and pretty, and you can smell it even after it has been blown out. It’s a real joy to have these candles – my treat to me. The perfume from my lime and grapefruit candle is so refreshing it makes the room “tingle” when I light it. I love the gentle natural aroma as it fills the room, which then lingers for ages after the candle is no longer alight. And for when I want a quick fragrance boost I also have the room mist in the same perfume. Delightful. Having burned and bought so many different brands of candles ranging from very expensive top end ones to less expensive. I think these are the best by far the smell from these candles fill the room all day with the uplifting scent and also smells amazing even when not lit. Will recommend to all to buy these amazing candles. I love the fragrance of lemongrass and rosemary. My home is filled with the gorgeous aroma. The body scrub works wonders along with the body lotion and hand cream. Thanks Valentte!!! A lovely candle that makes the whole room smell, very good after cooking to freshen the house. Lovely candle with a beautiful perfume. It burns evenly and lasts for a very long time. The reed diffuser has the same lovely perfume and again lasts a long time. I am very impressed with your beautiful products. Just love the candles , Reed diffuser , room spray & soap , this scent is the BEST fragrance ever ! Everyone comments on how lovely my rooms smell & even when the candle isn’t burning . If you haven’t tried these before you need to as you certainly won’t be disappointed . So glad I found you at the Glasgow Christmas Fair last year , thanks a million ? The lemongrass and basil candle is amazing – such an uplifting and refreshing scent! Everyone comments on it when they come in the house. I bought these at the ideal home show a few years ago and have loved them ever since. The reed diffusers last so much longer than any others I have bought. Gorgeous scent lasts for ages. Just love these candles. The quality is fantastic and the smells lovely. This is the first time I have booth the lemongrass and rosemary smell and I will buy again. I am a real candle addict so I’ve tried many over the years. I discovered Valentte at a show and I am so glad I found them! The smell from the Lemongrass and Rosemary candle is gorgeous. It really made my room smell lovely and is also quite relaxing. I will definitely be buying more! I discovered Valentine at a show and bought two gift boxes. I loved the candle so much that I went back to the show the following day to buy three more boxes! The candles last so long and the smell and quality are fantastic. If I had to choose, the lemongrass and rosemary is my absolute favourite. 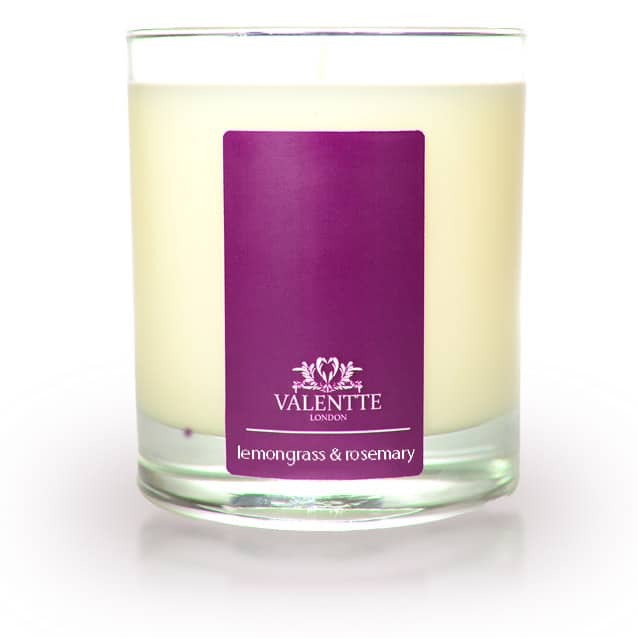 Lemongrass & rosemary is my favourite Valentte candle. It burns evenly and smells gorgeous, so fresh and uplifting and it’s a natural smell, not artificial. Loved it so much I bought some for friends. The complementary reed diffuser is wonderful too. I must have purchased about 4 lemongrass and rosemary candles over the last couple of years in addition to the room spray and reed diffuser – they never disappoint! A beautiful clean, fresh scent that fills the whole house. I cannot recommend this candle and scent highly enough! I can’t recommend this scent and candle enough. They burn beautifully and the scent fills my whole house with fresh lemon grass that lasts for days. I wouldn’t buy any other product now. These candles are amazing, the combination of lemongrass and rosemary work so well. The scent lasts for such a long time and fills the whole house. Would not choose any other candle. Refreshing, strong but not over powering. Last week my Mum came to visit and immediately asked me what the amazing smell was – my Lemongrass & Rosemary candles weren’t even lit and they still give off the most gorgeous aroma. She got straight onto the website and ordered herself a gift box of candles and room mist. I am never buying any other candles again!! I couldn’t resist and I’m so glad I bought the candle and room spray, it is amazing both in quality and fragrance it’s like stepping into a 5 star spa, I love the even burn of the candle , I know I will return to the web site for further purchase , and have recommended the brand to my friends . Purchased a gift box; candle, body scrub and hand cream at the Country Living fair London. Fantastic value for money, beautiful scents and expensive looking packaging! Bought 2 more mix & match gift boxes for friends on-line and now they’re hooked!! Finally found a company offering amazing products, affordable prices and fast delivery. Can’t ask for anything else! Proper decent. The dog loves it! This has got to be the BEST scented candle I’ve ever had , the fragrance is beautiful, fills the room & lasts for ages . Great price too , stunning packaging & fast delivery . I don’t think I will ever find a better scented candle and room spray anywhere again. I have bought many different ones in the past and nothing compares to the quality and amazing fragrance of these products . It is the only one I will buy again. Everything about it is fantastic and so happy to have found it. Just love it. Thank you. Beautifully presented gift box purchased at the highland show, this candle is my favourite, lovely fresh lingering scent and I’ve yet to burn it! Purchased more to put away as gifts for Christmas ? Just love the fragrance. Bought first at the Country Living Show and don’t think I will buy any other candles in future.. just lovely . This candles are brilliant we buy the lemon grass. Once it has burnt the wick away we keep the wax to place on top of our log burner in the winter top buy. Mr G Deacon. I first got the lemongrass and rosemary diffuser, candle and room spray as a gift more than 18 months ago – was immediately hooked!!. The diffuser is still going strong! Love it, love it!! Found Luke and his wonderful products by chance at the Royal Highland Show and had to make a few purchases!! Great to smell all the other fragrances but sorry, can’t move on from the lemongrass and rosemary!! Thank you so much Valentte! Will soon be ordering more! Guess what everyone is getting for Christmas this year?!?! One of my favourite candle scents. Really refreshing and great scent throw. The best candle scent I have ever purchased. Love the mix and match gift boxes which are very reasonably priced. Great gifts! Wanted to leave a review to let you know that these are the most amazing candles and diffusers. I am a long time customer, but recently discovered the 3 wick candle. I have put this in my large open floor plan home, and it makes the entire room smell just perfect. The diffusers are perfect for my bathrooms, always keeping them smelling amazing! Thank you again for such a great product! I bought a gift box at Tatton Park Flower Show last year. I chose lemongrass and rosemary diffuser, candle and room mist. It is the BEST EVER smelling room fragrance and lasts far longer than the most expensive brands. As a believer in green…the candles are soy and are so perfect when burning giving off superb wafts of fragrance. The room diffuser has all high quality natural essential oils which scent the room beautifully and they last unlike others. I returned to Tatton this year with the specific task not only of looking at superb flowers and gardens but also to buy more of these brilliant products…in the country living tent… Follow your nose !! Thanks, I’ll be buying more. Love these scents, only wish we could have larger candles . Simply sublime. Top quality and worth every penny. This smell is so invigorating and fresh and completely fills the room in a way that even my favourite Yankee candle can’t! Highly recommend and I will be repurchasing. 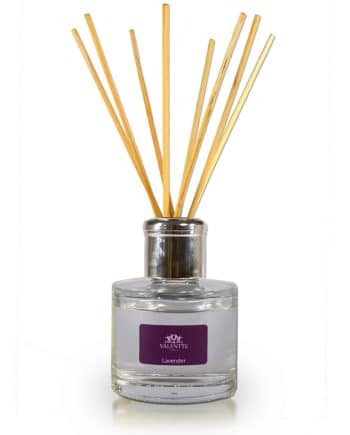 A simply stunning fragrance that makes our lounge smell absolutely divine. I don’t burn the wick but instead use a melting base to melt the wax . I purchased a supply at the Game Fair held at Hatfield House last year and was so impressed, I purchased another supply this year at Ragley Hall. Luke could not have been any or helpful. This has to be my all time favourite candle I have ever bought. The smell is amazing and lasts even after the candle is put out. It’s burns well and evenly without any smoke. Would highly recommend. One word – A M A Z I N G!! Fresh, uplifting and totally gorgeous scent. I bought this candle yesterday and it is absolutely gorgeous, such a strong truly lovely smell. AsI bought it in a gift set it was fantastic value for money, I got 2 candles and a room mist beautifully boxed for just £25, what an excellent gift, am just annoyed now that I didn’t buy more! Will just have to order more online. Amazing scent, very powerful even when the candle isn’t lit. Would buy again. Absolutely love this scent! It’s really strong and fresh smelling. Whenever I walk past it and it’s not lit I can still get a strong whiff of it. I love it! Bought this candle as part of a set from Grand design live, love the smell. Will be buying again! I bought this at the Country Living Fair and it’s the most beautiful scented candle I’ve had- and I’ve had many! It fills the room and everyone comments on it. Will definitely buy more. I absolutely love this candle! I first came across Valente about 3 or 4 years ago at either the Yorkshire show or one of the big horse trials and I have been coming back for more ever since! The candles smell incredible (lemongrass and rosemary especially), last really well and come beautifully boxed. I usually go through 2x candles and a room spray every year, but also now give these products as gifts. 5* for quality and scent! Whoever I’ve spoken to on stalls at events have always been friendly and helpful too! 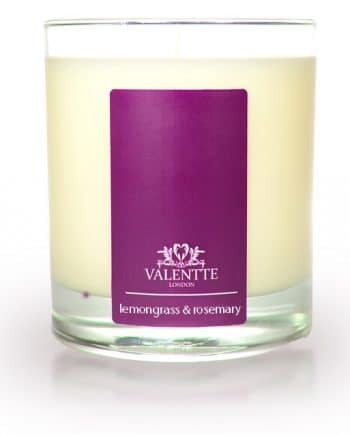 I was delighted to discover at the Home show in Glasgow Valenette candles, couldn’t wait to try them and the deal offered was excellent, I have since revisited the web site and purchased the 3 wick one in the rosemary fragrance. I have been delighted with the candles and have given friends the web site details for Christmas. Thanks to the team at Valentte and keep producing even more wonderful fragrances. This is one of the most lovely fragranced I’ve had. The scent lasts a long time and is really beautiful. Excellent. smells lovely lasts a long time and burns right to the end. 5star review. The scent of the Lemongrass and Rosemary Candle is simply divine….I have the diffuser too and love, love, love it ? Just love this candle – the same fabulous scent as the diffuser. Long lasting and perfect anywhere. We’ve used this in kitchen, drawing room & hall. Absolutely amazing smell and candle burns all around and not just in the middle like some candles. Would definitely recommend. I brought 2 gift boxes for my family for Christmas. They have both agreed that they really enjoyed these candles and the frangrence was fantastic. I can’t get enough of this scent….absolutely love it!! I have a candle in my downstairs bathroom and I ALWAYS get comments from guests about how lovely it smells! I also have one on my kitchen windowsill that I can smell all the time, even without lighting it. They last ages too ?? I received a Lemongrass and Rosemary candle as a gift and love it’s beautiful scent which fills the room so quickly. So I ordered 2 more as gifts and know my friends will enjoy them. A quality candle. Second time I’ve bought this candle and it’s still my all time favourite scent! Beautiful! Delicate and elegant scent. I will never get tired of it. Hands down THE BEST candle I have ever bought! The smell is amazing!! Our family loves this scent (lemongrass) and I love that the scent lasts from top to bottom of the burning! Very important-very good quality ! Discovered This wonderful brand at the Kingston Christmas Fayre. Love the scent, can smell it in the whole house when lit! Candle arrived beautifully packaged and very quick delivery! Can’t wait to order the other scents available! Always illicts compliments when we have guests. My daughter and I dicovered Valenette at the Country Living Fair Christmas 2016. Have used them ever since and always pleased to see them at any other fairs we go to. Tried this after being really impressed with the patchouli and eucalyptus range which I found at a Christmas market years ago, this one is a worthy addition to my purchases, smells divine and lasts really well. Lovely! A fantastic aroma – a favourite I return to again and again. Excellent quality and beautifully packaged each time. I purchased a gift box of lemon grass and rosemary products at the Spirit of Christmas Fair. It wasn’t long before I ordered another box. They are as good or better than other makes with a much higher price tag, not mentioning any names! As soon as I put the candle in the cupboard, I could smell it every time I opened the cupboard door. When I burnt it, the fragrance in the whole room transported me back to Thailand! Wonderful! Thank you, Valentte, I will be reordering! I have purchased almost all the candle range and each one has an enchanting perfume. They are good value for money too as they burn evenly and look lovely. Fantastic candle, burns well and leaves a beautiful aroma around the house – highly recommended. I love candles and now only buy Valentte everyone who visits comments on the smell. The lemongrass is my favourite the candles burn extremely well and the fragrance is rich and long lasting. Cannot rexommend highly enough! Had this brought for a present,1st Valentte candle I’ve had & definitely not my last.Burn evenly,lovely fragrance & lasts longer than other candles I’ve had before.would recommend. I purchased a Lemongrass and Rosemary gift box as a Christmas present for my Mother-in-law, even with it in the box it smelt so lovely, I had to treat myself, and I have recently ordered as a birthday gift for a friend, delivery was quick too. Love the lemongrass and rosemary smell, it is now my favourite candle. Love everything in the lemongrass and rosemary range. This is the first candle I’ve bought and the fragrance is really fresh and relaxing at the same time. The candle burns very slowly which is great. Looking forward to enjoying hours of this beautiful aroma. Lemongrass and Rosemary is a beautiful scent. It’s calming and poignant, and brings a wonderful vibe to the home. The service from Valentte is always excellent. Items arrived beautifully packaged and making stunning gifts. I first purchased at a county show and now wouldn’t buy from any other supplier. I love these products they are great. the smell of the lemongrass and rosemary is soo nice and all their products are super great. I bought this as a gift for my sister. But, having tried the diffuser (UTTERLY GORGEOUS) I sort of ended up keeping it – and it’s just as glorious. I don’t even feel guilty – which I’ll put down to its calming properties. I was given the box set for Christmas with the lemon grass and rosemary beautifully wrapped. How amazing the candle, diffuser and room spray are. The fragrance fills your room and lingers on. As soon as my candle was used I quickly found out where I good but more. Great service and quick delivery I shall recommend to all my friends. Since travelling in Asia and visiting their lovely spas, the smell of lemongrass transports me right back there into heaven! When I burn this candle, which I do whenever I want a pick me up or to welcome visitors into my home, my house is instantly converted to a luxury and relaxing spa. Virtually everyone comments, and wants one! Heavenly! Recently bought this complete set for the first time from the crufts stand, normally don’t write reviews but had to just say I absolutely love it it’s the best candle and diffuser set I have had the smell lasts for hours even after it’s not alight will definitely be buying more. Thank you to the lovely ladies on the stand at cruft. Smelt amazing and could smell it for hours after I had blown it out. I love candles and have spent a lot on them over the past few years. The quality of this one is exceptional. The smell is gorgeous and what’s even better still is that it doesn’t even have to be lit to fill the room with the scent. Will definitely be back for more. I absolutely love this candle. Have tried and tested quite a few over the years and nothing compares to the burn time and aroma. As long as they are produced i will continue to buy them. I really cant recommend them enough. This candle is absolutely amazing, lasts for aug a long time and even when I lit fragrances a room.y house does not feel a home without one of these in my Lou he. I am so delighted and buy new each time it runs out. Keep up the good work, am looking forward to the possibility of a Rose scent some day. This is my favourite scent. Fills the whole house with a beautiful, fresh smell. Very uplifting. Reminds me of warm Mediterranean summers. I buy the gift boxes. Great value and make good presents too. Discovered Valentte at Ardingly craft fair. Also been to visit Covent Garden stall. Friends and family also hooked on the products. I have at last found a candle that does everything I want – smells heavenly, lasts for ages and continues to look ‘as good as new’ as it burns down. Thank you! I received the candle as part of a boxed set for a mother’s Day gift. The candle has a very refreshing scent. The scented candle permeates throughout my living room leaving the room refreshed and uplifting. It burns clear and a pleasure to have. I have treated myself to another candle for my birthday. Thank you. One of the best candles I’ve ever had. Smells amazing and fragrances the room while burning and long afterwards. Slow burning and burns down evenly. bought this after reading the great reviews on it. i wasn’t disappointed it has a lovely clean lemon smell that is classy and natural. i have three dogs in my house and its a constant battle to eradicate the ‘dog’ smell without filling the air with awful chemical smells this did the job perfectly. it doesnt smell much when you take it out of the box but when lit it fills the air wonderfully. I love this fragrance. It smelt strong as it burnt. It lasted fairly well and I want to fill my house with these! Absolutely love this fragrance, have bought so many of these candles. I take them to our villa in menorca, they smell divine! This was a joy to unpack. It smelt fresh and absolutely right, I am very tempted to keep it for myself as opposed to the gift it was intended to be. Love this scent! Beautifully fresh – perfect for the Springtime! 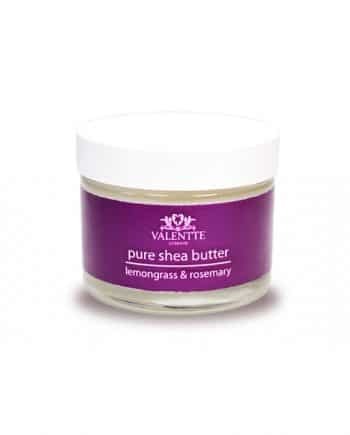 I’m a repeat customer and have found Valentte offers a prompt, reliable service and delivers well packaged, great candle products. The White Neroli and Lemon is another favourite. Candles burn well and scent has a good throw. Smells amazing so fresh and uplifting, this candle is the closest to the real thing! I have been buying the lemongrass and rosemary candles since I encountered your products at a Gift fair. This particular fragrance is perfect for a hallway as it is such a welcome to the home and has a strong enough scent to carry into the open area. Can’t recommend highly enough. This candle is simply wonderful and I would highly recommend it. Great as a gift and makes the house smell amazing when it’s lit. I have bought the Neroli and lemon candle before and loved it but this fragrance was new to me. I wasn’t disappointed! It’s such a lovely fragrance, perfect for the office as rosemary increases concentration. Although not a large size the fragrance fills the house like a much larger candle. This will be another regular purchase from now on ! I recently purchased this candle for my mother and myself, the smell and quality is beautiful. We are really impressed and will be purchasing more in the near future. Fragrance is long lasting yet not to over powering. We first came across Valentte candles at The Ideal Home Show in London. Luke was very thorough in describing the product and we bought this candle. We couldn’t wait to get another at this years show. Now I won’t need to wait so long as I can order on line. The candle has an amazing scent and actually gives off the smell whilst burning and on extinguishing, unlike many other candles we’ve bought that smell until lit. Great value for money ! !